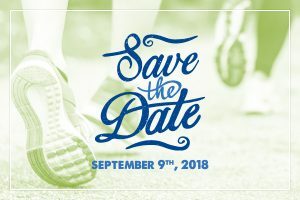 The 14th annual New Albany Walking Classic featuring a 10k USA Track & Field certified course (6.2 miles) will be held on Sunday, September 9, 2018, at 8:00 am. The start and finish will take place on Market Street and Market Square in downtown New Albany, Ohio. Learn more and register here: The New Albany Walking Classic. Celebrating its 14th anniversary, the Walking Classic is a unique event that attracts young and old, novice and Olympian walkers to the heart of our city It has become the premier walking event in the United States, bringing national status and attention to our efforts to create a culture of health one footstep at a time.